This fall, Arielle Cook became one of the first CONNECT2Careers (C2C) participants to begin a Bank of America Military-Connected Youth Internship. Bank of America partnered with C2C to create this exciting internship program, providing subsidized wages for 25 military-connected young adults (including young veterans and children of military families) to complete 40-hour internships. Along with the other participants, Arielle was matched to her worksite based on her personal interests, the distance to her and the need expressed by C2C’s community partners. 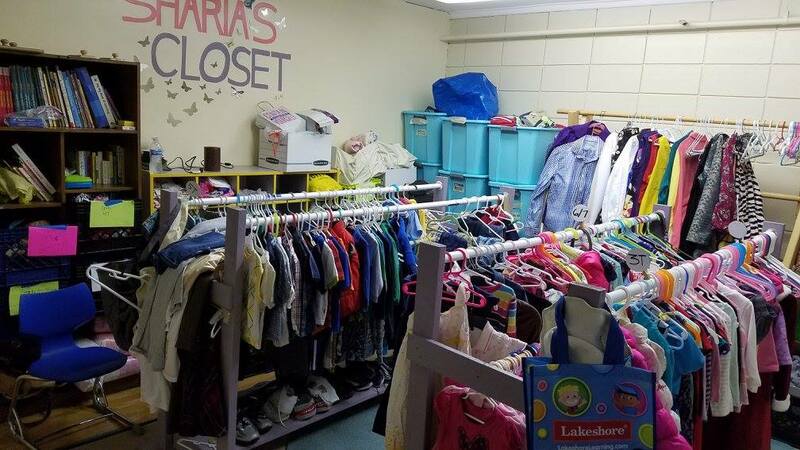 Sharia’s Closet, a nonprofit whose mission is to provide free gently used clothing to individuals and families in immediate need, was one partner in need of support. It was a match made in heaven as the organization’s needs aligned perfectly with Arielle’s interests and experiences, creating an opportunity to complete a meaningful internship that was beneficial to Arielle and the organization. In her time at Sharia’s Closet, Arielle worked on community outreach and increasing volunteer engagement, even leveraging her own network of peers and family members to get more people involved. 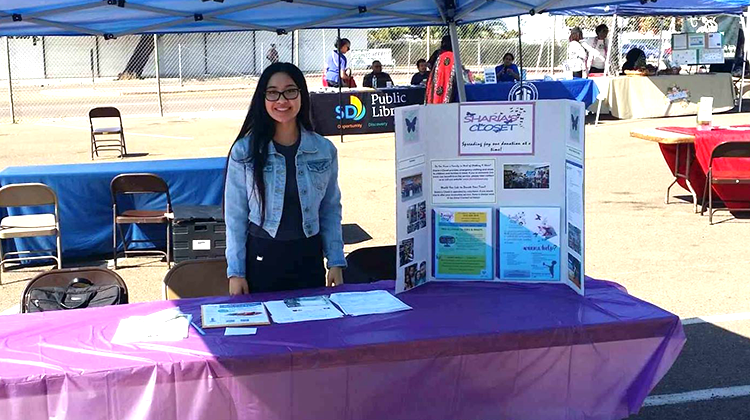 For example, when Arielle was tasked with tabling on behalf of the organization at an upcoming Community Health Fair, she enlisted her cousin’s assistance with creating presentation materials—a display of commitment that resonated heavily with Shamine Linton, founder and CEO of Sharia’s Closet. “Seeing that love and compassion we stand for [from Arielle] is beautiful,” she says. Per Shamine, one of Arielle’s most valuable contributions to the organization is having a fresh set of eyes. “Just having that foresight to see how [her] skills could improve what we do and not being afraid to share it,” she says. Shamine’s approach to Arielle’s internship has clearly been one of mutual respect and trust, with Shamine assigning meaningful responsibility that allowed Arielle to blossom in her role. In fact, Arielle will be evolving her role further by speaking at Sharia’s Closet’s annual fundraiser, Taste of the Season, this Veterans Day on November 11, a special day for Arielle, whose father is a retired Navy officer and whose grandparents were also in the Navy. C2C credits the entire cohort of interns and internship hosts for the success of the Bank of America Military-Connected Youth Internship Program, with special thanks Bank of America for its investment in San Diego’s military-connected young adults. This opportunity would not have been possible without the bank’s contribution and commitment to San Diego’s future workforce. Click here to purchase tickets to Sharia’s Closet’s Taste of the Season Fundraiser. If you are an employer interested in working with CONNECT2Careers, click here.